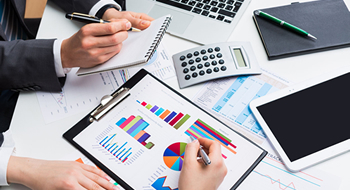 Do Accounting Firms Need MSPs for their IT Needs? Accounting firms are as technology-driven as any other business today. They face the same challenges that other smaller commercial enterprises do when it comes to keeping their IT infrastructure up, running and secure. According to one estimate, accounting firms spend 70% of their IT budget on maintaining their systems and 30% on new technology. Owners may insist that their in-house IT team can handle any technology challenges that arise, but can a small in-house IT staff (or more likely, one person) provide the range of support needed to maintain an infrastructure critical to daily business activities and long-term revenue streams? Let's look at some of the concerns related to a singular reliance on in-house IT support. You are a CPA. An Accounting Professional: You began this business to serve the tax and accounting needs of small- to medium-sized firms. IT is not your field. Trying to direct and manage an IT professional represents a severe shift away from your core competency. It also distracts you from your key goal: providing high-quality accounting services to your targeted market segments. In addition to the distraction of directing an IT staff, there are other concerns with this method of maintaining and developing your IT infrastructure. Size: Most likely your IT support is limited to one full-time staffer. That means most of IT support's time is spent putting out fires. Handling the day-to-day problems: someone suddenly can't print, another downloaded a virus, crashed their pc, and lost data. Someone else needed an upgrade to a professional software package and didn't understand how to install it, and then the installation required an upgrade to the latest OS, which hasn't been installed. As a result, the IT staff has little or no time to be proactive. Infrastructure Development: With all these distractions, who is looking at long term plans for the development and expansion of your infrastructure to meet the business growth you are planning? No one. 24/7 Availability: What about serious business interrupting breakdowns? One or two people cannot be available 24/7 to respond immediately to these. What if someone is out sick, on vacation or turned off their cell phone when they left work? One standard workaround is having an on-call, outsourced IT technician rush in to put out a fire. However, this approach comes with substantial direct costs to your business or organization in the form of high hourly rates, trip fees, surcharges, and hardware/software service or replacement fees. Losses from downtime must also be considered since it can take 24-48 hours for many IT consultants to even get on-site to address an issue, and resolving these issues isn't always a same day fix. Monitoring: One way to avoid critical breakdowns and security breaches is 24/7 monitoring. This is the surefire way to avoid and control security breaches, viruses and hacker attacks, but it isn't something a small firm can do on its own. It requires the presence of 24/7 labor plus investment in exceptionally sophisticated software and hardware. This sort of investment is not practical for smaller firms. Software Updates and Regulatory Compliance: If your staff is mostly putting out fires, do they have the time to be sure you are in compliance with government regulations? Are they able to ensure you can comply with security requirements and can prove your internal systems are safe from hacking and cyber invasions? Backup & Disaster Recovery (BDR): Some accounting firms argue that they have their own data backup system. Can it be accessed quickly enough to minimize damage? Are you confident that your business can be back online or able to access lost data with minimal disruption no matter what? There are safer, more effective solutions. A MSP has the focus, the resources, and the specialized knowledge to handle BDR in a way that an overworked in-house IT staffer cannot. MSPs provide the fastest disaster recovery, which is important for your business continuity. Software upgrades: This is the most significant benefit of having managed services for your IT needs. MSPs keep up with new technologies since it is the core of their business, which provides tremendous benefit because the latest software comes with new security patches. In-house support is usually always reacting, instead of proactively upgrading because they're stuck in the "fix what breaks" mode of their day-to-day job. Security: If the security of financial information were not an issue perhaps we would not be having this discussion, but security is of the utmost importance in accounting. MSPs will do everything to ensure that your data is safe. Working with a MSP gives existing in-house IT support some much neededfocus and direction. MSPs commonly offer a complimentary consultation and network assessment that evaluates the overall performance and health of your IT infrastructure. From there, the MSP will recommend the products or services most beneficial to current IT needs. This evaluation helps internal IT determine what system oversight and support will be optimal for your needs. To summarize, it is very clear that having a managed service provider is the best decision any accounting firm can make as far as their network systems are concerned. Your infrastructure is managed from a remote location providing you secure data storage, accessible from anywhere, keeping your systems updated and providing proactive solutions.